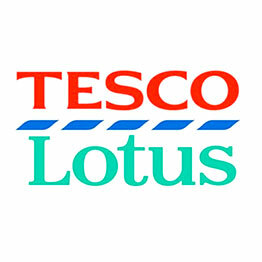 It’s time for Thai LEGO® lovers to rejoice! BEC-Tero Entertainment is bringing the BRICKLIVE: Built for LEGO Fans event to Bangkok where fans can enjoy a giant brick-filled wonderland unlike anything they have experienced before. 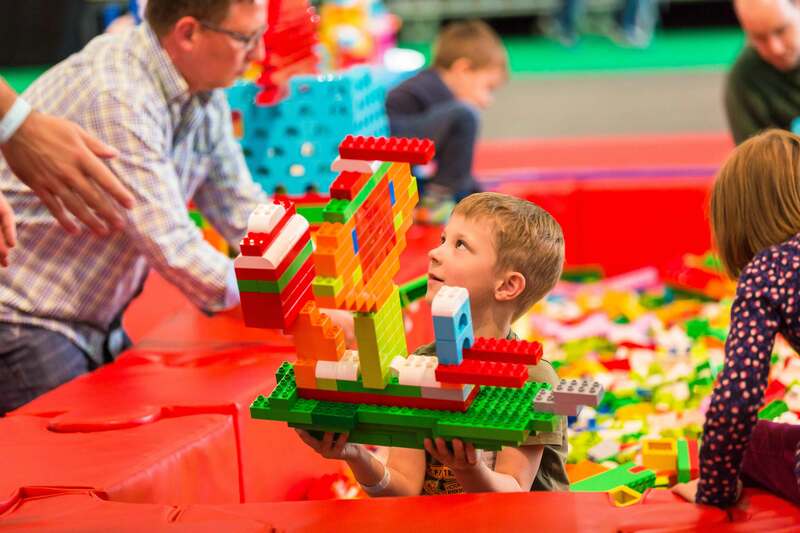 BRICKLIVE: Built for LEGO Fans will be the largest brick themed event ever held in Southeast Asia, with more than one million LEGO bricks and covering an area of over 4,000 square metres. The event will also feature various creations and collections from some of Thailand’s biggest fan builders. 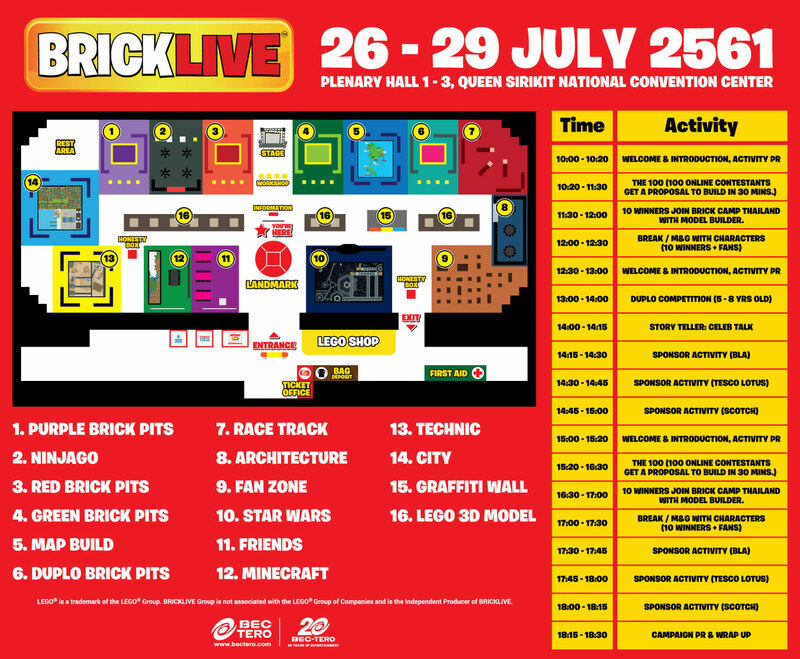 BRICKLIVE will take place on 26 - 29 July 2018 at the Plenary Hall, Queen Sirikit National Convention Centre. The exclusive Bangkok stop on the international BRICKLIVE tour offers an interactive experience, divided into zones allowing visitors to get their hands on a huge range/variety of different LEGO elements, see rare collections, as well as getting a closer look at life-size models including tuk-tuks, ninjas, and the Krunk bear. The world’s most popular toy has been an iconic source of entertainment for people of all ages for generations. It helps to enhance children’s physical and motor skills, as well as their emotional intelligence and the ability for them to stay focused, resulting in improved patience and creativity. The beloved bricks popularity spreads across generations and is loved by adults and children alike. The demand for bespoke creations and rare sets has seen a booming collectors market for this popular toy brand. 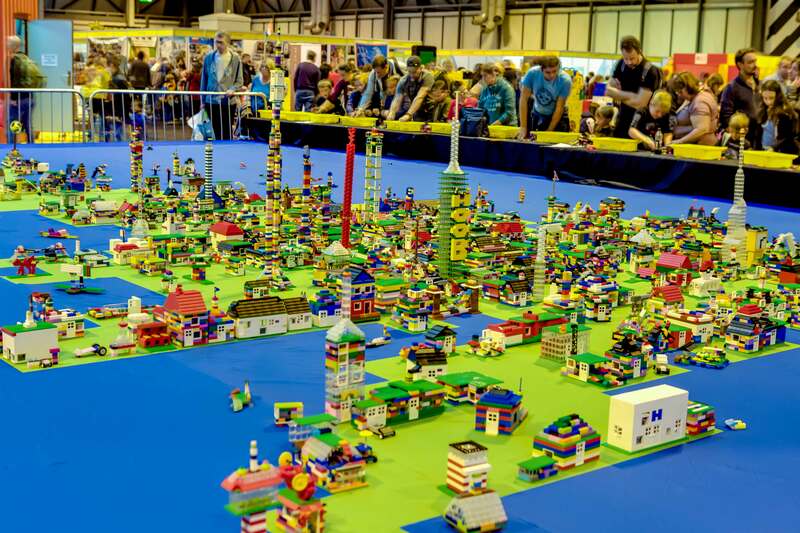 The chance to play with countless LEGO bricks whilst admiring rare collections under one roof is a truly special event, making BRICKLIVE an event not to be missed. The show is divided into zones starting with the BRICK Pits Zone, featuring green, red, and Duplo bricks. Visitors can use the bricks to create their own works. 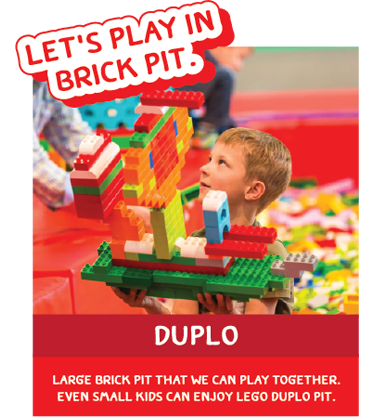 The red and green pits consist of standard-size system bricks (2x4) while the Duplo pit consists of larger, easier-to-handle bricks for small children (1.5-5 years old). There are also several LEGO themed BRICKLIVE build zones featuring Star Wars, Ninjago, Friends, and Minecraft bricks. The exhibit also features zones that help visitors to improve their construction skills and learn about engineering principles. 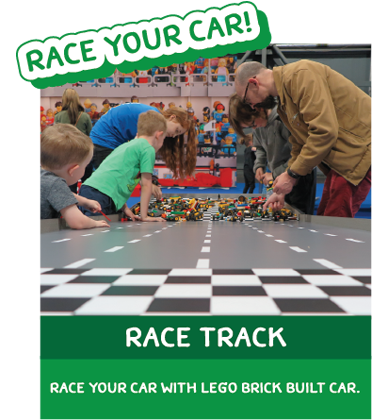 In the Race Track zone, use bricks to create your own cars and race against one another. You can also take a photo with brick-made trophies. 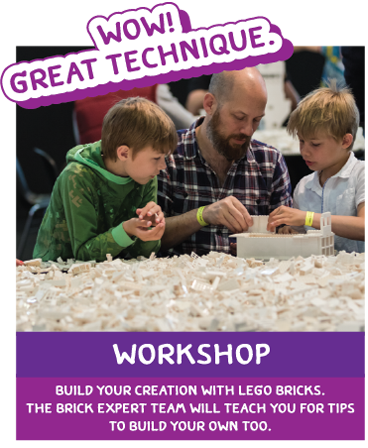 In the Technic Zone challenge yourself with something more complicated with the option of using cogs as well as bricks to build your own cars. 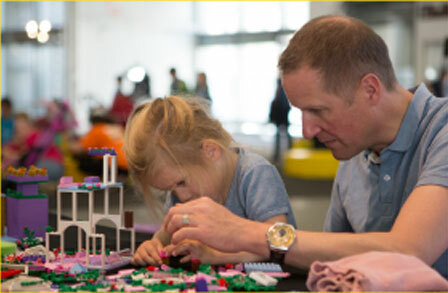 The Architecture Zone offers more than 1,000 white bricks for visitors to design and create buildings. The City Zone and Map Builds Zones allow you to build houses, cars, or whatever else you need to create your own functioning metropolis which can then be placed on a giant map of Thailand as if these cities are being created from scratch. 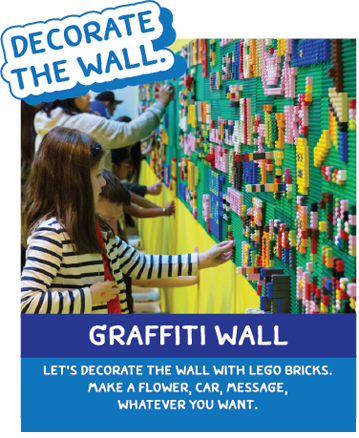 For a different type of LEGO creativity, the Graffiti Wall zone allows visitors to place brick designs on a wall to producing their own LEGO street art. 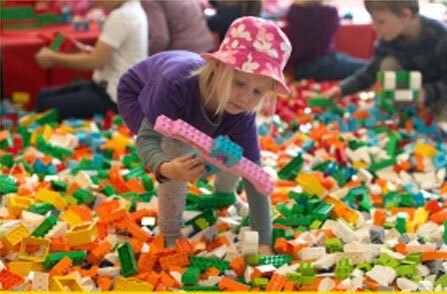 Another exciting feature is the Fan Zone exhibiting the LEGO collections of long-time collectors and builders, including rare and unseen sets. 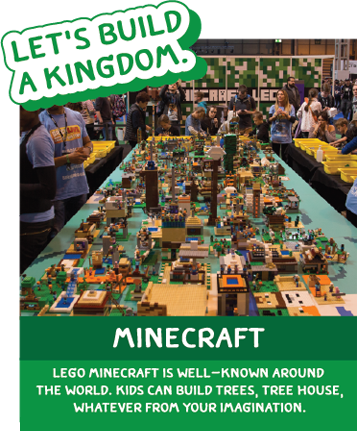 This zone will also be home to the amazing bespoke creations that have been built by Thai LEGO builders. This is the first-ever BRICKLIVE event to be held in Southeast Asia and is the only chance for local fans to play with and admire their beloved LEGO on such a massive scale. 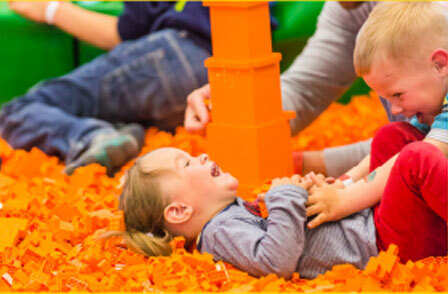 The event is the perfect family activity with plenty on offer for both children and adults. Don’t miss BRICKLIVE: Built for LEGO Fans from 26 – 29 July 2018 at the Plenary Hall, Queen Sirikit National Convention Centre. Tickets are priced at Bt350 and Bt500. 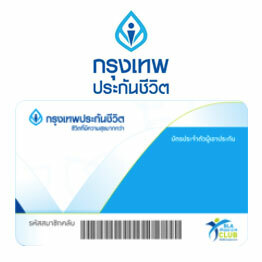 Each Bt500 ticket comes with a souvenir and a discount coupon to the value of Bt150. Tickets are available at all ThaiTicketMajor outlets, or by calling 02 262 3838. 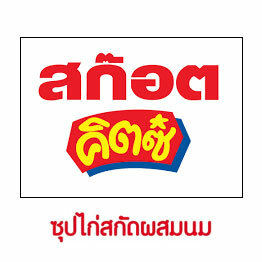 Including a LEGO souvenir (value at 350 THB) and a 150 THB gift voucher to purchase LEGO products at the event. - Kids under 80 cm. can enter the event with no charge. - Each ticket is valid for 4 hours once entering the event. Each extra hour will be charged 50 THB/hour. 1. 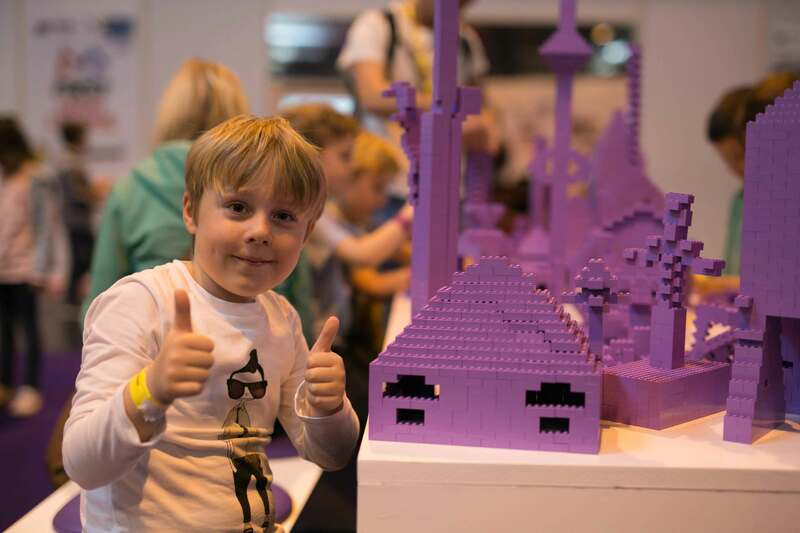 Bt100 discount when purchasing any BRICKLIVE ticket from 1-15 July 2018. 2. 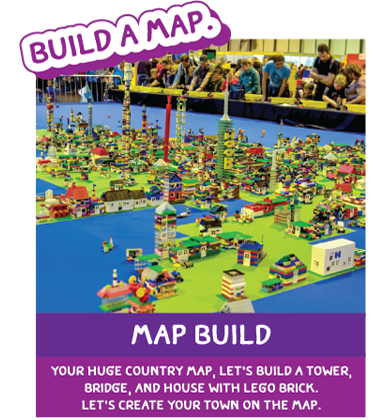 Bt50 discount when purchasing Bt500 BRICKLIVE ticket from 16-29 July 2018. 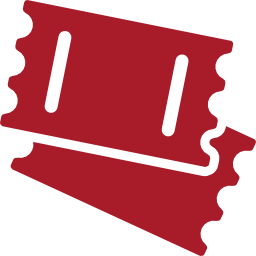 Eligible up to 4 tickets. 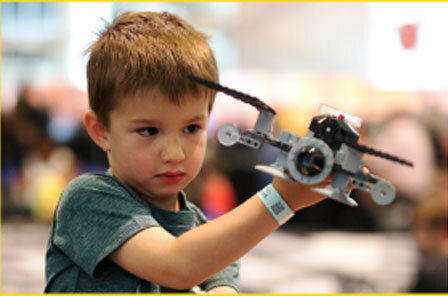 For every 1,000 points on your 1 Card, card holders can redeem Bt100 when purchasing BRICKLIVE ticket. 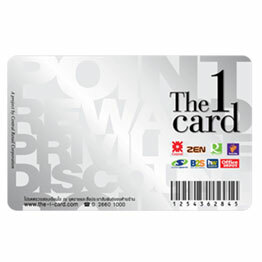 From 1 – 29 July 2018 (only at TTM outlets).